CCXIT is a premier provider of computer and networking support in the Hamilton Niagara area since 1994. Our full service solution system engineers provide quality solutions and support to small, medium and large corporate clients, as well as individuals. CCXIT is able to meet all your needs ranging from consultation, design, installation of fiber, data, voice & coax cabling, hardware and software sales and leasing, disaster recovery, remote services. From initial design through to final deployment, CCXIT ensures complete satisfaction. Whether you require a standard or custom solution, a single installation or on-going maintenance services, CCXIT networking and systems experts are focused on your long-term success. CCXIT would like to just say Thank You to all our clients for their continued Loyalty and support. 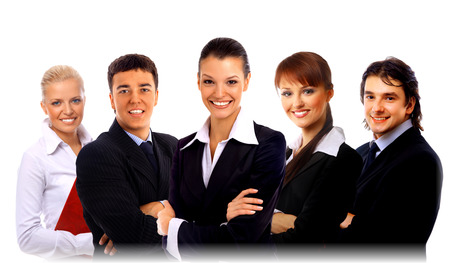 "We enjoy working with the team of professionals from CCXIT. They provide us with reliable backup support for our in house IT Department. The team at CCXIT always has the client's best interest in mind." "We have grown so comfortable with CCXIT that we provide them with a significant latitude in the dealing with our computer network systems. We have never been disappointed." "We've worked closely with the CCXIT team and have found them superior service providers. They respond quickly to any system challenges we may have. We appreciate their attention to detail. Furthermore, following CCXIT's advice regarding our peripheral systems needs has led to cost savings for the Art Gallery of Hamilton." "There's a certain comfort from knowing that qualified professionals are looking after our systems, dealing with occasional problems quickly and generally keeping us in business. Until we found CCXIT, we had too many problems. Now with CCXIT we have solutions."